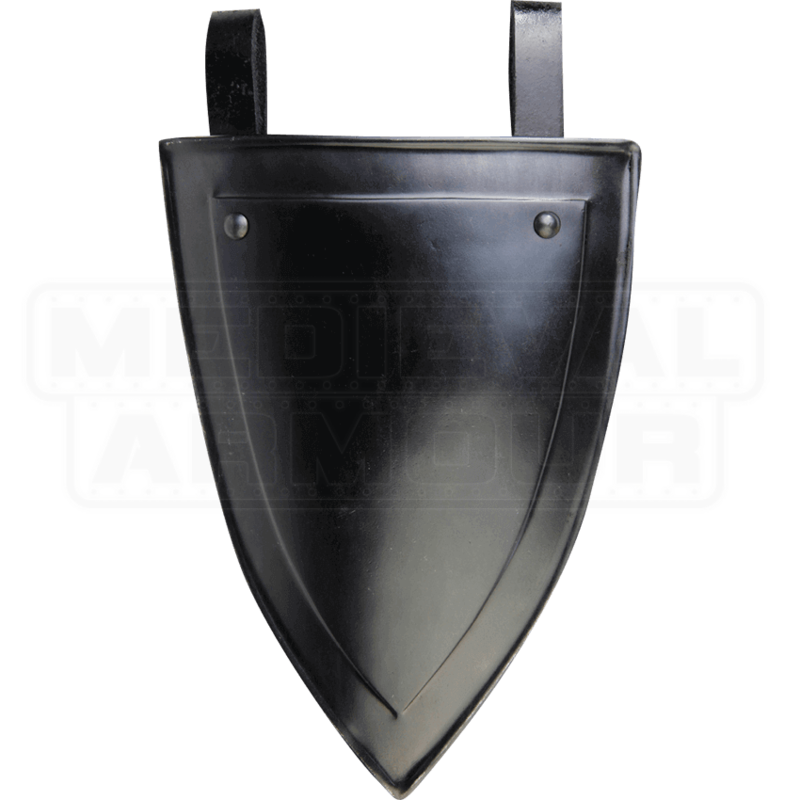 With the Blackened Lucas Shield Tasset, young warriors can display the herald of their clan, while enhancing their defense. Make certain their protection is complete by combining this belt shield with the rest of the Lucas armour. 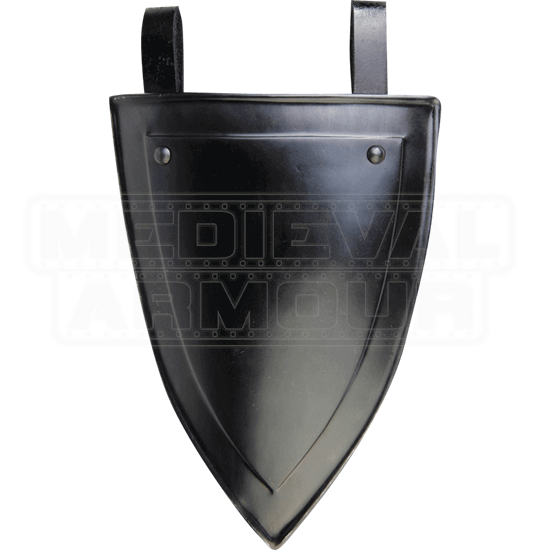 Made of 18-gauge steel, the tasset possesses a black metal finish. The corrugated detail that runs along the edges matches the other pieces in this series. The triangular center is the perfect spot for self-customization. The attached leather loops slide easily over a belt.